Germany: Manja Marz 3d (left) won the Deutsche Damen-Go-Meisterschaft 2013 in Jena on October 13 while Janine Boehme 1d came in second and Barbara Knauf 3d in third. Ukraine: Also on October 13, the Ukrainian Cup 2013 finished in Kyiv with Bohdan Zhurakovskyi 5d in first, Artem Kachanovskyi 7d in second, and Mykhailo Halchenko 5d in third. Finland: Jesse Savo 4d bested Mikko Siukola 4d in the 2nd qualification for the Finnish Championship in Espoo on October 13. Jusso Nyyssonen 5d placed third. Looking for someone in Hollywood CA to play go with. Email dr.barnsher@gmail.com if interested. After 20 years out of print, Kiseido’s “Handicap Go” was released in an extensively revised and rewritten edition earlier this year. 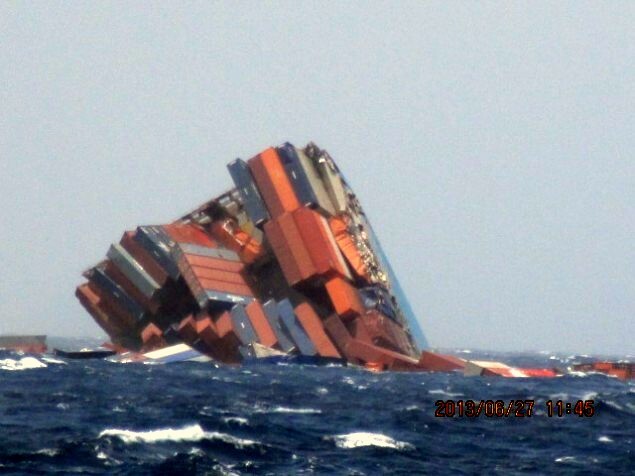 However, reports Anders Kierulf, it may have to be reprinted again soon, as the ship carrying a thousand copies sank in the Indian Ocean last June. “Fortunately, we were insured and the insurance company already paid us the full value,” Richard Bozulich says. “There is a story floating around that the ship was carrying arms for Syrian rebels and the Russian Navy sank it so those arms would not get to Syria,” says Kierulf. Bozulich plans to be at the Cotsen Open later this month. Meanwhile, “Handicap Go” is now available in SmartGo Books, which has a new website, and Kiseido is having a pre-Christmas sale of books until November 15. Korea and China fought it out for the top spot in the 8th Korea Prime Minister Cup International Amateur Baduk Championship, held October 10-15. Korean student Park Jae-geun 6d, 17, took first place with a win over China’s Li Fu 8d, 39, principal of the Haikou FuLi Go Training Center. The US representative, Hugh Zhang 7d, came in 16th place with five wins, his only loss being to the 4th place finisher from Hong Kong. Canada’s Bill Lin came in a very strong 3rd place also with five wins and a loss, to the winner Park. The US player was seeded somewhat lower than Canada’s because of mixed US results in prior years, according to tournament organizers. 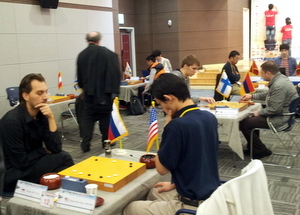 The tournament attracted 62 players from all over the world to the small industrial city of Gumi in the province of Gyeongbuk-do. Gumi was the birthplace of the late Korean leader Park Jeong-hee and benefited from a great deal of industrial development during his 1961-79 time in power, growing from a village to a major city with Samsung, LG and other factories. Iyama Increases Lead in Meijin: Iyama Yuta Kisei (right) now needs only one more win to regain the Meijin title. In the fourth game, played at the Agora Fukuoka Hilltop Hotel & Spa in Fukuoka City on October 9 and 10, Iyama (W) beat Yamashita Keigo Meijin by resignation after 196 moves. 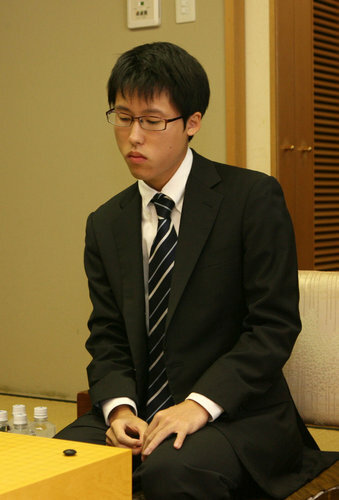 Yamashita lost further ground after his disastrous blunder in a winning position in the third game. What stood out in the fourth game was Iyama’s skill at shinogi, that is, rescuing a weak group without incurring a disadvantage. 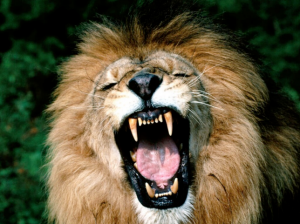 Go reporters covering the game used the term “attacking shinogi,” and Iyama proved that it was not an oxymoron. For much of the middle game, Iyama had a large eyeless group that was subject to attack. Yamashita made leaning attacks on other white groups to build thickness for attacking the weak group. Instead of saving it directly, Iyama took even more profit in neighboring areas but in a way that offered indirect assistance to his large group. When the crunch came, he cleverly secured two eyes for his forty-stone group. Way behind on territory, Yamashita had no choice but to resign. This whole battle was fought by Iyama under time pressure, as he went into byo-yomi on move 80. The fifth game will be played on October 16 and 17. Women’s Honinbo Title Match Tied: Two games have already been played in the 32nd Women’s Honinbo best-of-five title match. The challenger, Mukai Chiaki 5P, made a good start by winning the opening game, but the defending champion, Xie Yimin 6P (left), fought back to even the series in the second game. 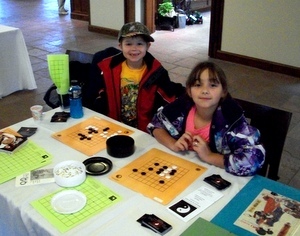 The first game was played at the Kashoen Inn in Hanamaki City, Iwate Prefecture, on October 2. Mukai, taking black, defeated Xie by resignation after 143 moves. Xie played a little slackly in the middle game and let Mukai cut off and kill a large group. 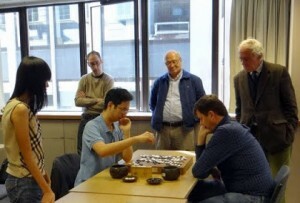 The second game was played at the Nihon Ki-in in Ichigaya in central Tokyo on October 7. Mukai secured a slight advantage in the middle game, but Xie was able to stage an upset. She won by 3.5 points after 274 moves. There are some interesting statistics for Xie’s seven Women’s Honinbo title matches (including this one). 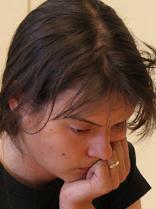 She has a minus record in the opening game, having won only three out of the seven. However, she has never lost the second or third game. Mukai will have to break this pattern to take the title. The third game will be played on October 29. Kisei Leagues Concluded: All the fifth-round games in the 38th Kisei Leagues were played on October 3, but the only suspense involved was the question of which players would keep their places, as the league winners had been decided in the fourth round. The results were as follows. A League: Yamashita Keigo Meijin (W) defeated Kiyonari Tetsuya 9P by 1.5 points. Yoda Norimoto 9P (B) d. Kobayashi Satoru 9P by 2.5 points. Yamashiro Hiroshi 9P (B) d. Cho U 9P by 1.5 points. B League: 25th Honinbo Chikun (W) d. Murakawa Daisuke 7P by resig. Takao Shinji 9P (B) d. Kono Rin 9P by resig. Mizokami Tomochika 8P (W) d. Hane Naoki 9P by resig. Yamashita and Murakawa had already won their respective leagues. In the A League, Cho U and Kiyonari lost their places. Cho U, the immediate past Kisei, was able to win only one game. In the B League, Kono and Mizokami lost their places. Murakawa Wins Agon Kiriyama Cup: The final of the 20th Agon tournament was held at the Kyoto headquarters of the sponsoring Agon Buddhist sect on October 5. The 22-year-old Murakawa Daisuke 7P of the Kansai Ki-in was matched against Shida Tatsuya 6P, also aged 22, of the Nagoya branch of the Nihon Ki-in. Both players had won minor titles, but whoever won this game would take a new step in his career. Playing black, Murakawa beat Shida by 3.5 points after 246 moves. The prize money is ten million yen, which is the sixth-highest in Japan. Murakawa will represent Japan in the play-off with the winner of the Chinese version of this title. Women’s Meijin League: Two games in the 26th Women’s Meijin League were played at the Nihon Ki-in in Tokyo on October 10. Okuda Aya 3P, the previous challenger, scored her first win when she beat Yoshida Mika 8P (W) by resignation. The other game was between the joint leaders of this year’s league, Kato Keiko 6P and Suzuki Ayumi 6P, who were both on 3-0. Playing black, Kato won by 2.5 points, so she now has the sole lead; however, if she later loses a game she may be handicapped by her number five ranking in the league. This game was originally scheduled for November, but it was brought forward a month, as Kato is due to have a baby next month. Tournament organizers should note that the mailing address for the AGA Treasurer has changed. If you are submitting paper membership forms and checks, please use this address: Treasurer, American GO Association, PO Box 231225, Tigard, OR 97281-1225. A multinational team, the Orientals (sic), took the Autumn London International Teams event at the Nippon Club in London, UK on October 6, winning all three rounds. The team was comprised of one Korean player, Young Kim 5d, one Chinese player, Yangran Zhang 4d, and one Japanese player, Kiyohiko Tanaka 3d. trophy when team captain Andrew Simons — who called the event “one of my favourites’ — was traveling and couldn’t organize a team. Click here for full results. 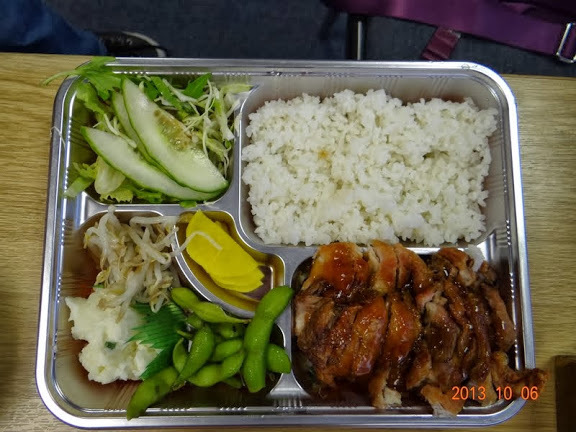 The entry fee also covered a choice of bento lunch (left), pre-ordered from Taro. - Report by Tony Collman, British correspondent for the EJ. Photo by Kiyohiko Tanaka. Click here for photo journal of the day.